The Cathedral has a repositery by the entrance of the building, in the garden. The need for a repository to supply and evangelize the faithful was eminent as as the cathedral Mall Repositery closed in November 2012. A wooden house is our temporary shop. 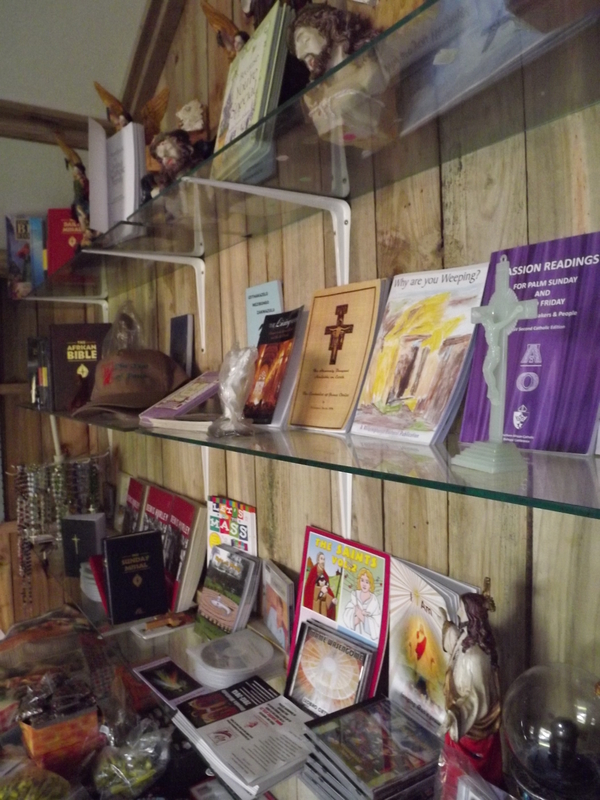 We sell Bibles (English, Zulu, Xhosa), books, hymn books, missals for Weekdays and Sundays (English and Zulu), a variety of booklets to assist you in your prayers, rosaries, chaplets. We are always willing to make sure that our customers are satisfied so if we do not have your items,, we will do our best to get it soon.